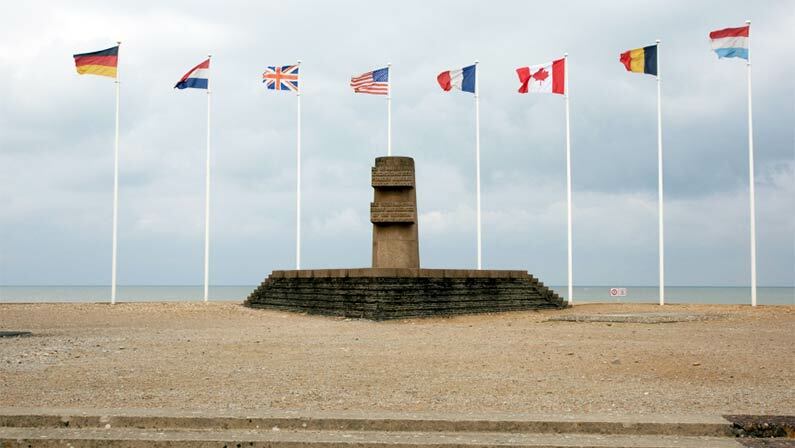 Juno Beach was the code name of one of the five main landing sites (the others were Omaha, Utah, Sword, and Gold) of the Allied invasion of the coast of Normandy on D-Day during World War II. Juno was located between Sword Beach and Gold Beach. Juno is also known as the Canadian beach, because it was assigned to the 3rd Canadian Infantry Division. Juno Beach stretched from Saint-Aubin-sur-Mer on the east to Courseulles-sur-Mer on the west. There were 15,000 Canadian troops supported by 9,000 British. Initially the 3rd Canadian Division was under the command of British I Corps for the first part of the invasion. It did not come under Canadian command again until July 1944 with the establishment of the Canadian Corps headquarters in Normandy. There were British units of commandos and assault engineers who supported the Canadian assault. German naval and air forces didn’t intervene in the assault on the beaches (same story for Omaha, Utah, Sword, and Gold beaches). Also, truly a remarkable fact seems to be the miracle that no German gun battery hit any Allied ship on D-Day. Though Juno wasn’t as smooth as Sword nor as stiff as Omaha, damage was still intense by enemy machine guns and snipers. The first wave of Canadians had horrible casualties matching Omaha Beach. B Company of the Winnipegs was reduced to one officer and 25 men before reaching the seawall. D Company was destroyed to half its force before even reaching the beach. One troop of C Squadron managed to attain its D-Day objective reaching the Caen-Bayeux railway line. Truly, the Canadians had a certain payback for the disaster which the Germans had handed them at Dieppe two years before. If you wish to visit Juno Beach, A Paris Travel can arrange this on its Normandy Private Tour from Paris or on its Normandy Private Tour from Caen.